I’ve stumbled on this Supernova song, “Shining Star”. Apparently this is their new Japanese single. This post’s title is kinda misleading since the song has been released a few weeks back but according to my sources, the song will only be available in the market tomorrow, Dec 8. 2010. The song isn’t all that great but I find myself listening to it over and over again. The chorus is catchy. Plus, the booty shaking thing is kinda funny. JiHyuk is so into it that he stands out. Funny really. Anyway, I don’t know Supernova that well but I heard they are doing so well in the Japanese market. They’ve been charting Oricon I’ve heard. It’s surprising because allkpop and such never really put much attention on these guys’ success in Japan but they published Wonder Girls, Rain, Boa, and Se7en, and DBSK’s overseas triumphs. Anyway, here’s the Shining Star PV. Check out JiHyuk. Also, Sungmo looks like B2ST Kikwang here. Supernova comes back to the kpop scene with their new song, “On Days That I Missed You”. That’s song is actually good. Well for my taste. I’m not crazy for it but I do like it. I’m not really a fan of Supernova. I don’t know if I’m starting to be a fan but I did spared a little of my time to write about them. The first time I saw them was when they did that collaboration with T-ara, “Time To love”. Looking at them right now, I can only remember one person. I think his name is Ji Hyuk. Well accdg. to the Inkigayo vid, that’s his name. Probably I remembered him because he doesn’t look Korean. Or maybe its just me. Anyway, the group kinda have this SS501 feel. 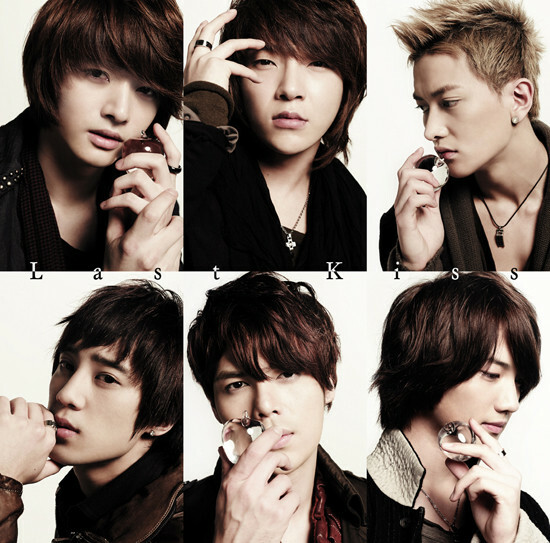 I really can’t put my finger on it but when I’m watching them, it’s so like SS501 plus 1 member. I don’t know. A few nights ago. Just before 2010 cam, MBC held their own Gay Festival. After what KBS had shown, anything would be better. The following were the performances as written by the people in K Bites. – Way Back Into Love Perf. – When I Grow Up (P.C.D Cover) Perf. – Because Of You & Ah Perf. – Crazy in Love Perf. – Like a Virgin Perf. – Again and Again Perf. 2PM + JYP – Dance Battle Perf. – Tell me Your Wish (Genie) Perf. The show was actually good but SBS just really did a hell of a job in their Gay Festival. Maybe it’s also on my part. I mean I kept on comparing SBS to MBC as the show went on. With all honesty, SBS should have been the year ender special. Nothing against MBC and KBS but you would really see who made the most effort in giving an outstanding show. SBS had the best stage, the best MCs, and the most varied performances. Now, going to the show. I expected highly on the 2pm and SNSD special but I was a little disappointed. I don’t know. Last year, Wonder Girls and Big Bang did a great job and I was actually hoping that both SNSD and 2pm can give the same excitement. Maybe they’re tired or something. It seemed lackluster and the chemistry was a bit off in the pairing. Also, MBC brought in people who didn’t made such an impact in 2009. I mean, Tae JinAh and Park Hyun Bin. I’m sorry, but did they release any songs this year? I write a weekly online chart article and I can’t remember writing their name. I think the reason why it’s not as exciting as it should be is that there are fewer fans in the audience. In SBS, you can hear the cheer and wow. I’m not saying though that the show was an epic fail, my expectations weren’t just met. There were fantastic performance. Kim Tae Woo’s Love Rain was the best on that show. Well, for me it was. Kinda surprise because I never was a fan of the song. Also, After School and Dambi’s After School number did turn up the excitement level a notch. Well, there you have it. That’s pretty much all that I want to say. Wait, one more thing. At the beginning of the show, they said that they will award an artist of the year but I’m not sure if they did. I was waiting for allkpop or K bites to publish the winner like what they did to 2pm in KBS. If anyone knows, please comment on this article. I do wanna know. I hope next year will be better though. I hope it would be better. I’m wasting 9 hours of my vacation to watch those Gayo Festivals. 2pm won most of the online charts for this week with Baek Ji Young, Park Bom and SS501 winning one chart each. The surprise is really in the Yesasia chart. I wrote this before already but I’ll say it again anyway. Wonder Girls’ “Wonder Years – Trilogy” album is back on the charts after over a year it was released. I really think it’s because of the Filipino, American and European fans. WG are starting to be known on those parts of the globe. I removed Monkey3 for this week due to it’s site’s unavailability. Or maybe it’s just my PC but I can’t access the site for days now. Anyway, as I said in my recent Music Bank article, 2pm has been dominating Hanteo and Yesasia. Both charts are album sales charts. Aside for “Heartbeat”, “Tired of Waiting” and “I Was Crazy About You” are also doing well. Let’s see if this would be enough for a win in Music Bank and Inkigayo. Update: I can again go to monkey3.co.kr. Here’s the chart of the site for the 2rd week of November. 3 songs of 2pm are on this chart.